Long gone are the glory days of piling into a van and following the trail of the Grateful Dead each time they embarked upon one of their celebrated tours. Today, the iconic 60s band from San Francisco belongs to the ages, but the creative spirit of their music not only continues to thrive, it is resurrected every week at a historic club called Winston's in Ocean Beach, California. The long-established Monday night house act, Electric Waste Band, has drawn an adoring crowd of devoted fans each and every week since 1992 — an astounding two decades and counting. 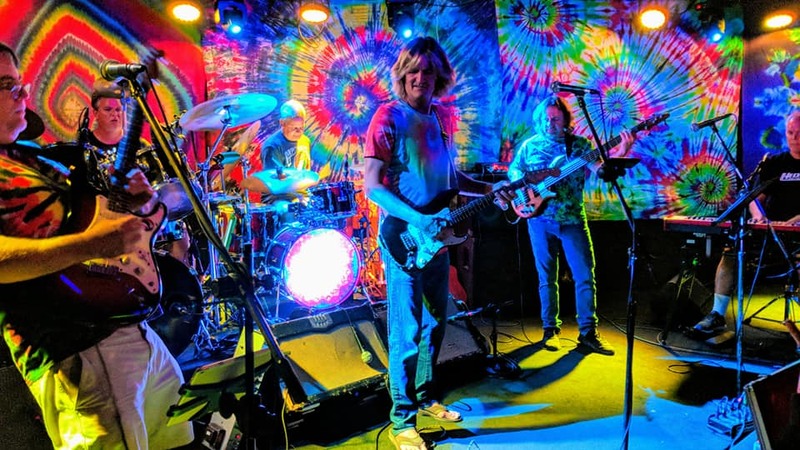 Formed way back in 1989, Electric Waste Band has entertained the local deadhead community for many years now, always to rave reviews as they serve up a staggering catalog of over 150 classic Grateful Dead songs. Improvisation is their focal point and each member is well-versed in creating magic on the fly. Every performance is a unique journey, one that pays reverent homage to the past while somehow always sounding new and fresh. Along with their established Monday night gig at Winston's, Electric Waste Band regularly appears at other clubs in the Southern California area, as well as being an endearing favorite at outdoor music festivals. For their efforts, they have been honored multiple times with San Diego Music Award nominations. They also make themselves available for private events that need a little Dead to liven things up. Interested in treating your friends and colleagues to their own personal Electric Waste Band performance? You can contact the band here for more details. If you yearn for the glory days of the Grateful Dead, the Electric Waste Band is a portal in time to a bygone musical era. If you are new to the scene, the energy of their performances may sway you into becoming a lifelong fan of the genre. Most importantly, if you long to hear real musicians play real songs on real instruments, Electric Waste Band is an oasis within the vast wasteland of pre-programmed pop and repetitive rhythmic loops.